I have used pieces from the Cotton Candy Dreams - Pucker Up 12 x 12 Paper, and some of the Cloud Watching 12 x 12 Paper. Along with some of the Dreamscapes - Under the Covers 12 x 12 Paper, and Narwal 12 x 12 Paper. I have used a gorgeous die from Paper Roses that you can find at The Crafty Chain I have also distressed most of my papers. 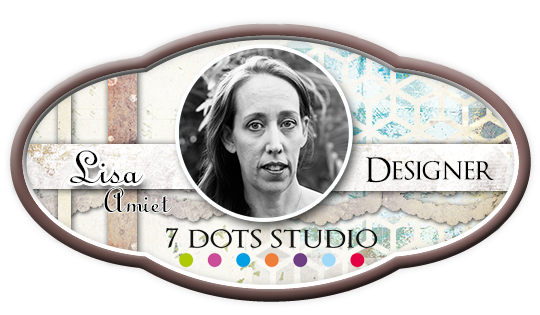 I have used the 6 x 12 Word Stickers from both the Cotton Candy Dreams & Dreamscapes Collections. 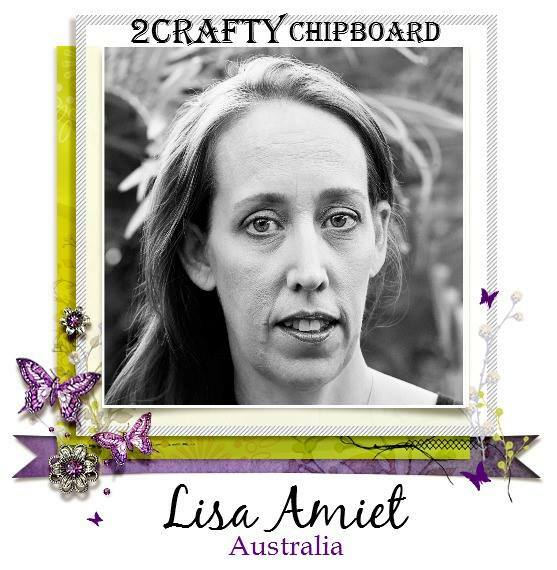 I have also used pieces from the Dreamscapes 6 x 12 Die Cut Elements to finish off my page. I love how I can mix and match collections and they all work so well together. 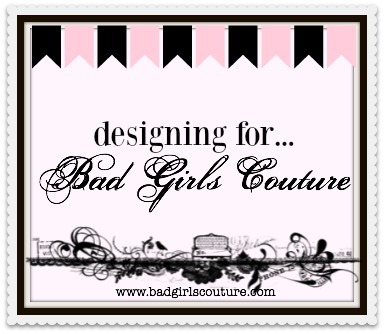 As you may have heard there are 2 new collections due to be shipped out any day now! I can't wait to play with them, I will definitely have some more to share with you soon! 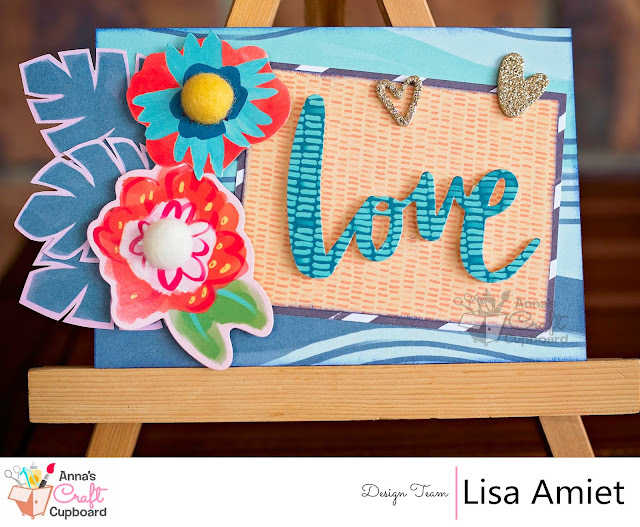 I'm back again today to share some goodness that I have created using the Amy Tangerine Hustle & Heart Collection that I received from Anna's Craft Cupboard this month. I have created a set of cards to share. For this card I have used a piece of patterned paper from the "12 x 12 Paper Pad" I have fussy cut the leaves from one of the patterned papers. I have then layered these with flowers from the "Ephemera" pack, which have "Wool Pom Pom Stickers" for their centres. Lastly I have added some gold glitter hearts from the "Thickers The Lucky Ones". Hello all! 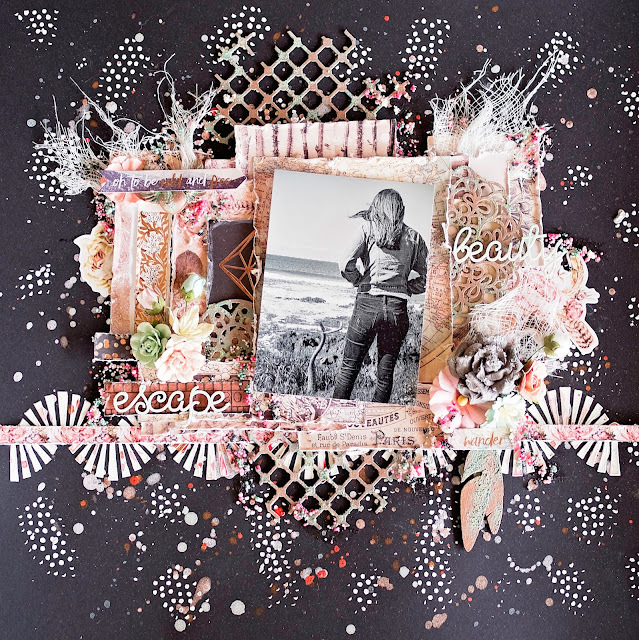 I'm here today to share a layout with you that I have created using the gorgeous Amy Tangerine Hustle & Heart Collection that I received from Anna's Craft Cupboard to play with. I have used a black yardstick base, which I have splattered paint over. I have used various patterned papers from the "12 x 12 Paper Pad", which I have layered up. I have also used elements from the "Ephemera" pack, such as the tag, leaf and the gorgeous tiger! I have also used one of the "Wool Pom Pom Stickers"
For my title I have used 'Stay Wild' and also the hearts and gold hashtag are from the "Thickers The Lucky Ones"
I also have a process video for this layout. For this layout I have used 13Arts Aria Story collection. I LOVE the yellow in this and really wanted to bring them out. I've started with some modelling paste stencilled onto my base page. I have then done some splattering with yellow paints and mists. I have also used some of the "Fanciful Butterflies" that I have first coated in gesso and then I have glued on some torn tissue paper. I really love the effect it gives. I have also used one of the "Leafy Shrub Set 1"
And lastly I have used the title "Happiness is This"
I have finished this is the same pale yellow paint. I really love how this layout pops off the black background, I'm still loving them! 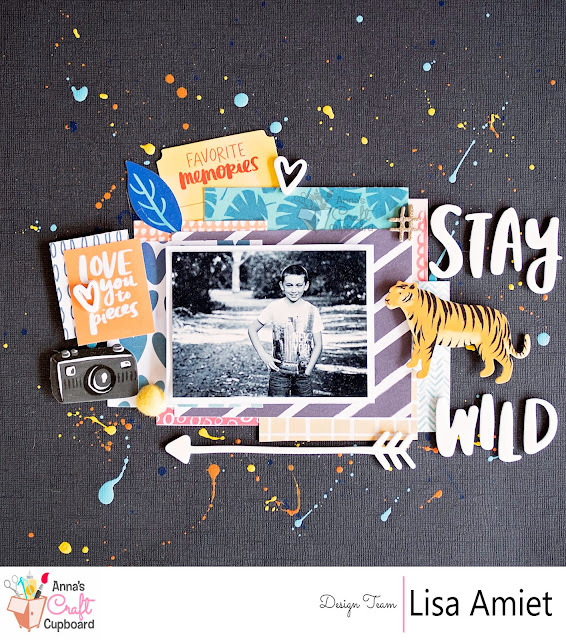 I have also used Prima's Wild & Free Collection. I have used some of the "Grid Bits" that I finished with Patina Paste. I love the corroded metal finish that it gives. I have also used one of the new "Decorative Discs" that I also finished in the patina paste. I have also used the words 'escape' and 'beauty' from the "Mini Word Set 1", these I have finished in white with a hint of mint to the top of the words. 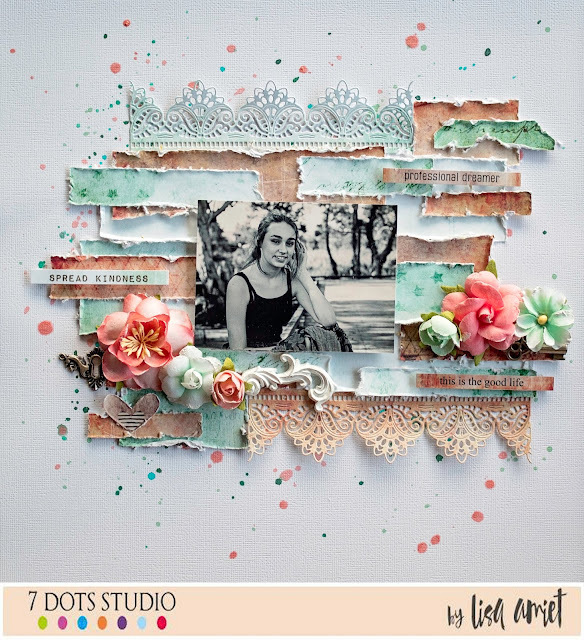 There are also some feathers from the "Tiny Feather Set"
And the word 'beauty' has been layered with one of the "Flower Doilies 3"
Lots of texture in this layout! 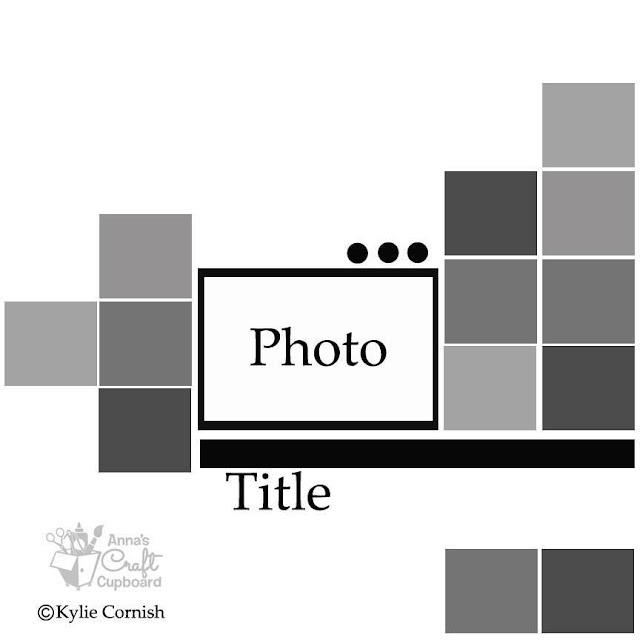 I have used the awesome Freestyle Collection by Photo Play. I loved the sketch so I pretty much kept to it. My gorgeous boy! And some Freckled Fawn Enamel Triangle Stickers. I would love to see your take on the sketch and really hope you will join us, and be in the chance to win a $30 gift voucher!